Are you ready to be a winner?! Play Lucky Dragons for your chance to win exciting prizes! There are loads of exciting features that makes this game extra special and extra fun! To find out, just spin the reels and see what you’ve won! Soak in the richness of Chinese culture on Lucky Dragons Slot at Gossip Bingo. It is a creation of Pragmatic Play which revolves around dragons. It is made up of 5 reels and 50 paylines. Find out more about these mythical creatures which are considered as lucky in Chinese culture. Admire colourful patterns and artistic designs during your gameplay. The Dragons, Tiger, Golden Frog, Phoenix, Fish, A, K, Q and J are the different symbols you can find on the reels. Launch this amazing game at Gossip Bingo using your PC or mobile device. On Lucky Dragons Slot, you can use the + and – buttons on the Coin Value display to adjust your stake. Per line, one to ten coins are available. You can trigger wins with a combination of 3 or more matching symbols on the reels. Make the most of the Auto Play feature to set 10, 20, 30, 50, 70 or 100 rounds played successively. Bet Levels: There are no betting levels. Amount of Paylines Selection: All the paylines are active during the game. Coin Values: Select different coin denominators such as 0.01, 0.03, 0.05, 0.10, 0.20 and 0.50. 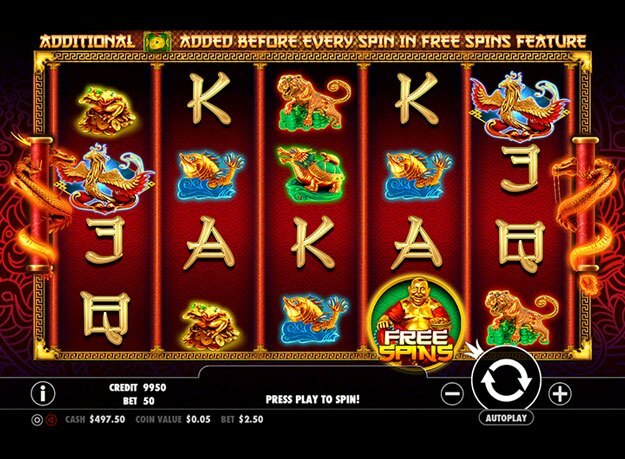 The Gold Coin is Wild on Lucky Dragons Slot and replaces any symbol, bar for Scatter, to complete winning combinations. As for Scatter, it appears only on reels 2, 3 and 4. It is represented by the Laughing Buddha Free Spin symbol. With a minimum of 3 Scatters on reels 2, 3 and 4, you are offered 6 free spins along with 2x your total bet. The free games use special reels and before each round, a Wild symbol is added to the second, third and fourth reels. This Wild symbol remains in the same place during the entire round. In addition to this, each scatter during the feature awards 1 additional spin. 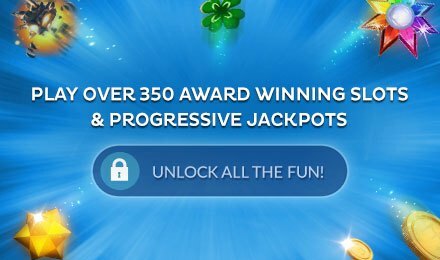 Take delight in playing Lucky Dragons Slot at Gossip Bingo. Good luck!